hello. 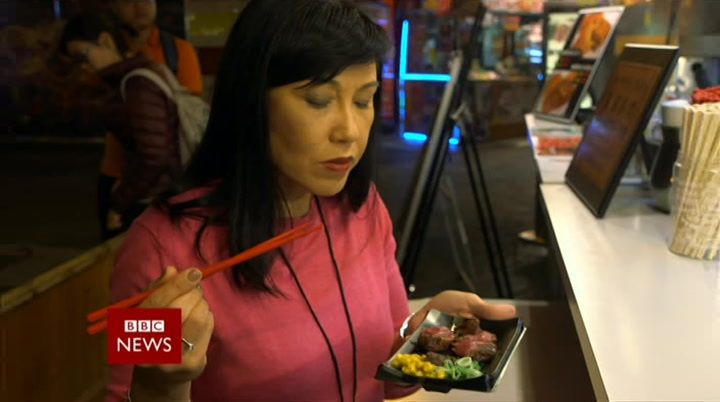 this is bbc news. 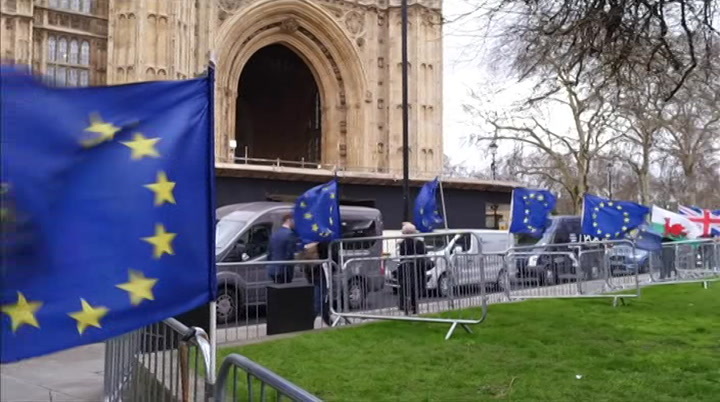 the headlines: the speaker of the house of commons says the prime minister cannot ask mps to vote on her brexit a dramatic twist — deal again unless there are as the prime minister's told there'll be no new vote substantial changes to it. what the on her brexit deal in parliament unless there are substantial changes. 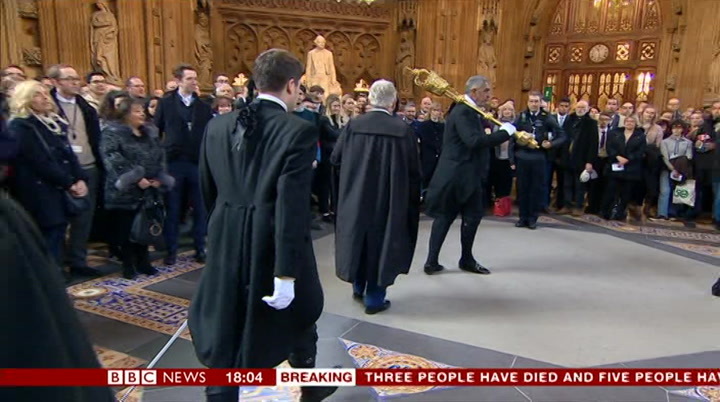 government cannot legitimately do is the speaker of the house to resubmit to the house the same of the commons took downing street by surprise, announcing that rules mean the same deal cannot be proposition or substantially the put before mps twice. same proposition as that of last what the government cannot week which was rejected by legitimately do is to resubmit to the house the same proposition, or substantially the same proposition as that of last week. 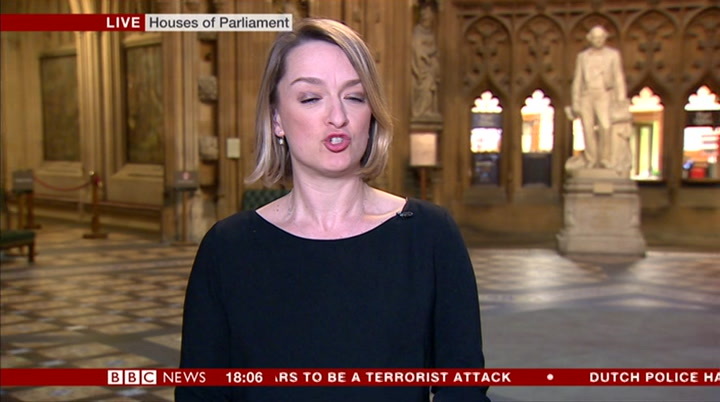 theresa may wanted to try her luck in parliament again. 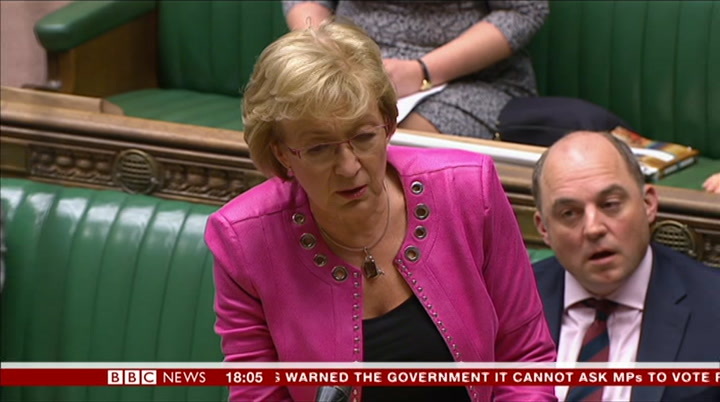 but with the speaker saying no, one government minister says this is now a constitutional crisis. with less than two weeks to go until we're due to leave the european union, we'll be asking what it all means for brexit. 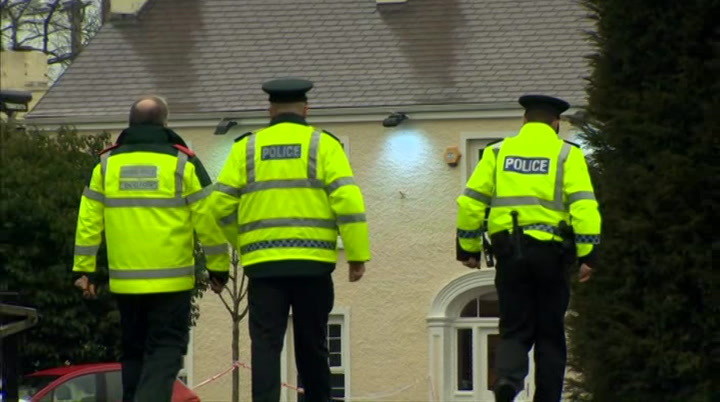 also tonight... police in northern ireland investigate the deaths of three teenagers who it's thought were crushed to death in a crowd outside a st patrick's day party. remembering the 50 people who died in the new zealand mosque massacres as tighter guns laws get government backing. here in christchurch, as the families of those killed wait to get their loved ones‘ bodies back, preparations for a series of funerals are under way. and crowds gather on the streets of cardiff tonight to celebrate the wales team's grand slam victory at the weekend. 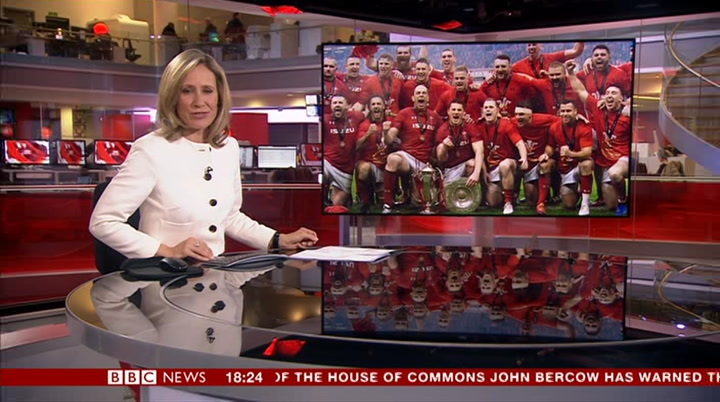 and coming up on bbc news for you, the welsh heroes are celebrated in cardiff this evening. we'll be there for you, live. investigating the deaths of three teenagers at a st patrick day's party last night. a 17—year—old girl and two boys aged 16 and 17 are thought to have been crushed in a large crowd at the entrance of the hotel in cookstown in country tyrone. our ireland correspondent emma vardy has the latest. this was the scene outside the hotel's nightclub as the crowd waited to get in. people began to scream that they couldn't breathe. there was confusion and disbelief as one teenager died at the scene and two died later in hospital. terrible. terrible, just chaos. young ones, hysterical. a 17—year—old girl who was killed has been named as lauren bullock. her school described her as shining light. deeply saddened at the tragic death of lauren, our year 13 student. she was a beautiful girl, a young person with much talent and much capability. what happened here is a truly appalling incident and, today, there are questions about how the event was advertised and how the crowd was being managed outside. staff at the greenvale hotel are assisting police with their inquiries. there are calls to look at what lessons can be learned from the st patrick's day which turned to tragedy. 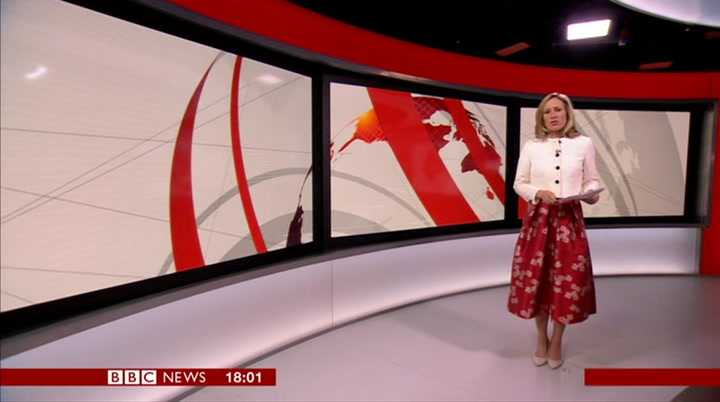 emma vardy, bbc news, cookstown. 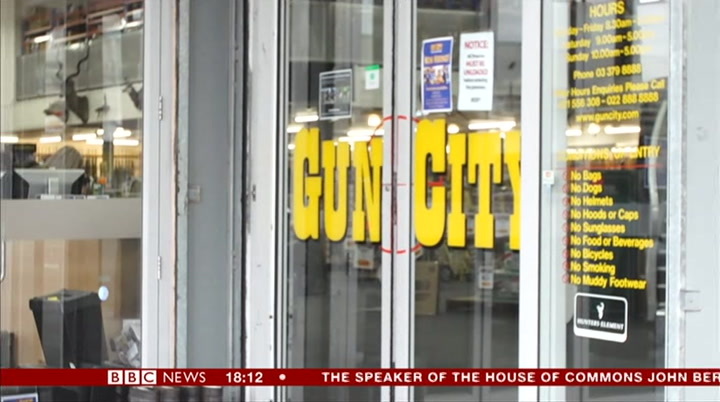 new zealand's prime minister says she will announce detailed reforms to the country's gun laws within days after friday's attack on two mosques which left 50 people dead. 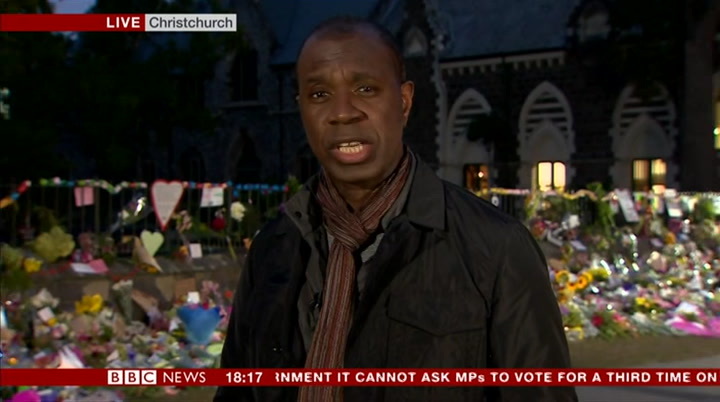 clive myrie is in christchurch for us now. yes, the prime ministerjacinda ardern has said her cabinet backs changes to gun laws in principle. police say the killer brenton tarrant used military—style assault weapons which had been modified to make them more deadly, which is not illegal under current legislation. 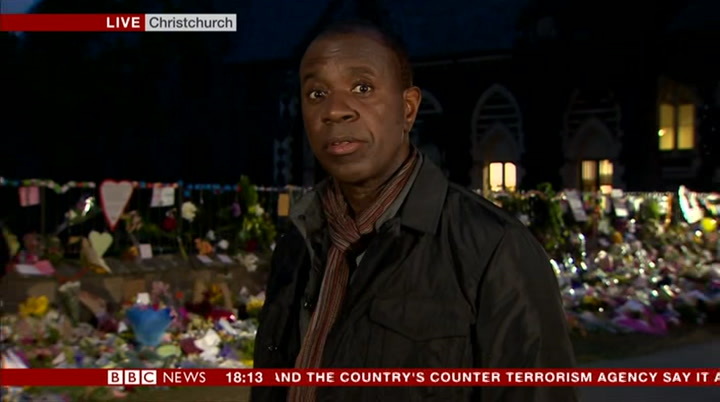 our correspondent hywel griffith reports on the day's developments here in christchurch. pledged to reform gun controls. the suspect, brenton tarrant, had five weapons, two of them semiautomatics. after the 1996 port arthur massacre, australia banned semiautomatic weapons and held a national amnesty. new zealand may now follow. the prime minister says measures have been agreed in principle. when australia found itself tragically in a similar position to what we find ourselves now, they took 12 days to make their decision. we have taken 72 hours. there is still some detail that needs to be worked through. i want to do that, but still move as quickly as we can. just as in australia, just as in america, it's taken a terrifying, violent act to provoke a debate on new zealand's gun laws. but, just as in those of the countries, there is a powerful gun lobby here, likely to resist change. news, christchurch. people here continue to remember those who lost their lives and the scores of people still in hospital recovering. 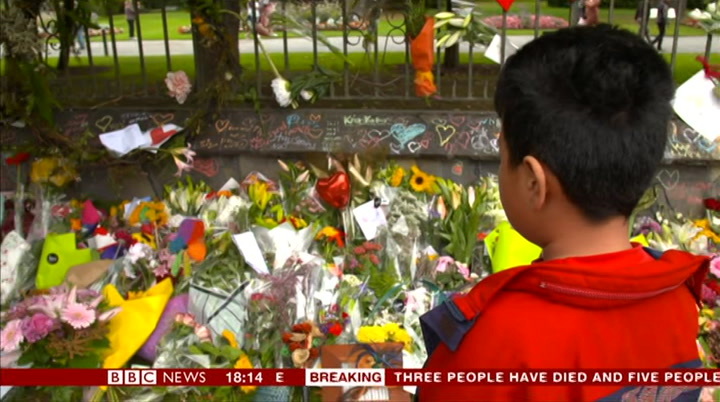 a particular focus today has been the children who died in the two mosque attacks and young new zealanders have been gathering together to see how they can help help their community. this silent memorial shouts its poignancy. 50 pairs of white shoes. for the 50 people who died. among them, little children. as so many reflect on this tragedy, lost in a world of painful thoughts, it is sobering to remember that the killer didn't see human beings in those mosques. he saw targets and children were fair game. the tributes right across christchurch reflect that abomination. 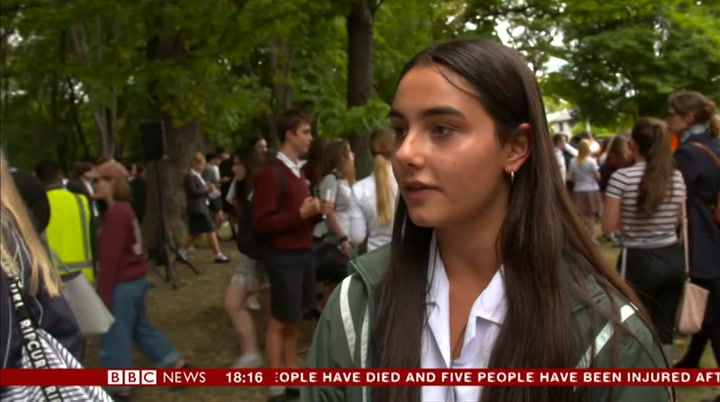 that the school is behind them and, you know, getting involved in the events i've led just shows them that, you know, hatred cannot drive out hatred, only love can. and this is the fruit of his labour, organising a huge vigil. an opportunity for thousands of young people to celebrate life. i think it's amazing how we all gathered together to show our support and especially how it was done by kids in high school students, i think that isjust a really good thing. local schools now have counsellors on hand to help traumatised children out of a calamity. after the calamity. recognition that no one should have to walk through gates of grief and sorrow, especially the young. ripped from theirjoists. this is beira, where it is thought there has been the greatest loss of life. while the damage on the ground is bad enough, it is from the air that you can see the scale of what has happened here. beira is the major port on mozambique's coast. now it's largely underwater after the cyclone tore through it, bringing the sea in its wake. the city's tightly packed suburbs are submerged. no one knows yet of the true loss of life here. translation: flying sheets of metal decapitated people. some people are in hospitals. it's really bad. we don't eat properly, we don't sleep properly. we have no home. from the suburbs, cyclone idai's destructive force spread inland, no respecter of borders, it crossed into neighbouring zimbabwe. landslides, rock falls and raging waters have marooned hundreds. as you can see, the devastation of cyclone idai, there is a major crater here. now this is one of the main access roads between the city of mutare, where the support teams and the supplies are, and the villages of chimanimani, which have been cut off. we met an elderly couple who were trying to check on family members on the other side. 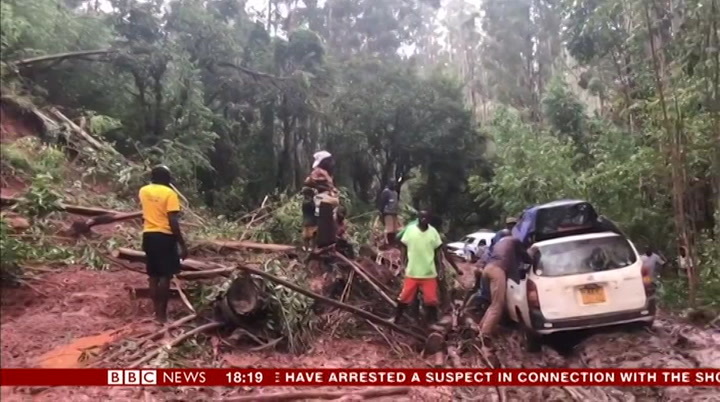 he tells us he's been trying to call his family, trapped in chimanimani, to find out if they survived the storm but he hasn't been able to reach them. his wife miriam makes the sounds that that the wind and water made as the storm approached. she says the rains have been relentless. five million people were in need of food aid before the floods. this makes matters so much worse. shingai nyoka, bbc news, chimanimani, eastern zimbabwe. 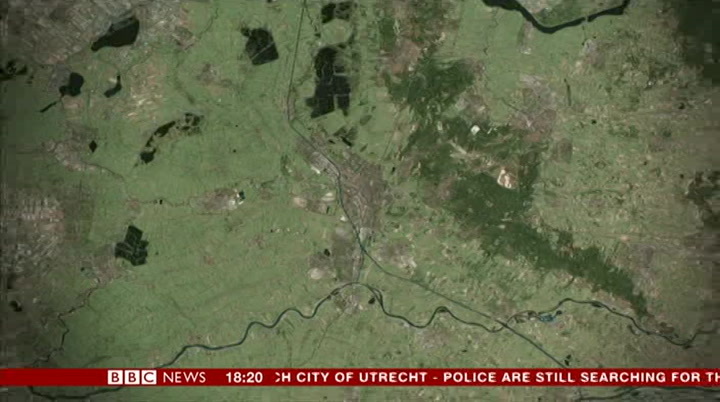 police in the netherlands say they've arrested a man after three people were shot dead on a tram in the dutch city of utrecht. five others were hurt when a man opened fire at a tram stop not far from the city centre this morning. it sparked a manhunt as police tried to find the gunman. an arrest was made in the past hour. damian grammaticas is there for us now. 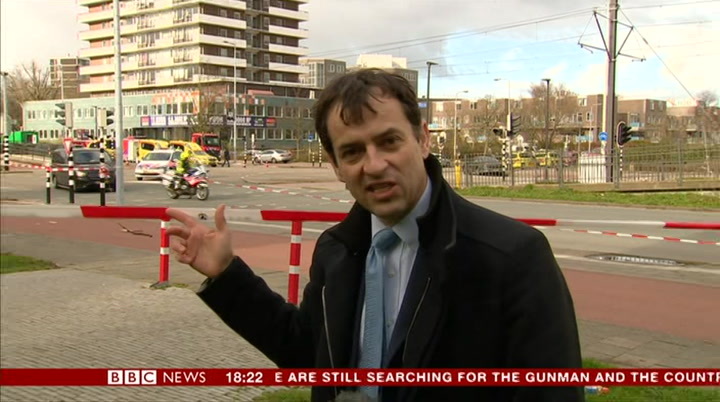 sophie, yes, this is where it all happened, the man with a gun at this tram stop in utrecht shooting people. as you were saying, three dead, five injured was the toll here. all day, police kept people indoors, children in schools, people in offices here, as they hunted for the man. it seems he was known to them. what is not clear is whether this was an act of terror or whether he was targeting specific people, perhaps a family feud. but it all began here at about 10:50am this morning. sirens. late morning, a tramline at a standstill and dutch medics scrambling. the reports were of multiple casualties. armed police units responded fast, too. of the suspected attacker, gokmen tanis, 37 years old and originally from turkey. anti—terror teams thought it might have led just a few hundred yards around the corner. as they tried to track him, they ordered people in the area to stay indoors. 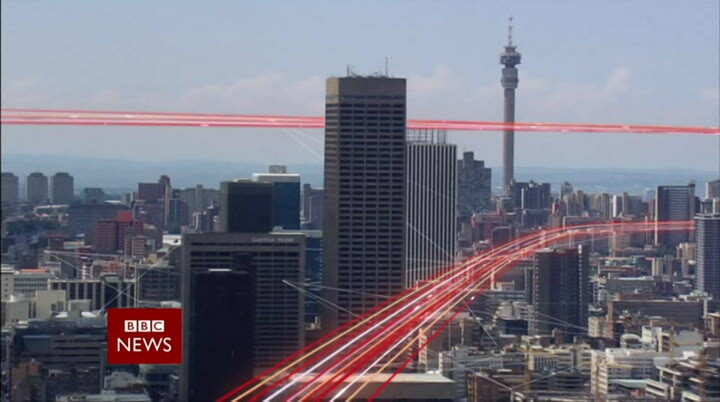 offices, schools and universities all in lockdown. 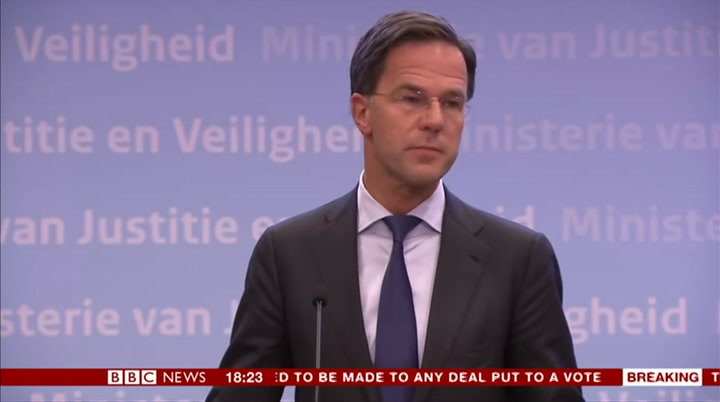 "this has been a jolt for our country," the dutch prime minister mark rutte said, adding, "we are horrified and in disbelief". 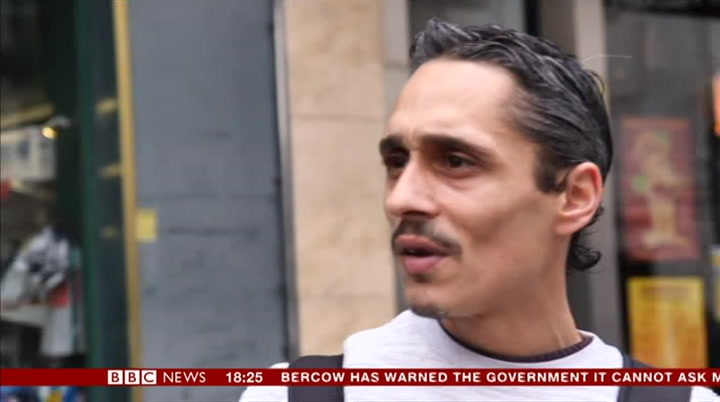 and late in the afternoon, the suspect gokmen tanis was detained. the police siege at an end but the sense of shock here still deep. 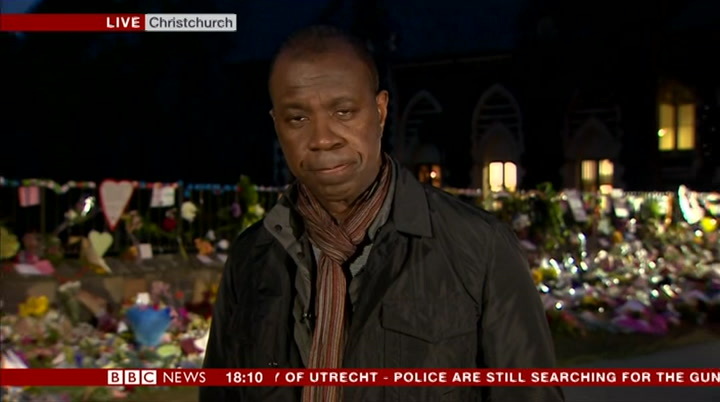 damian grammaticus, bbc news, utrecht. eurostar is urging passengers to avoid travelling until after wednesday unless their journey is "absolutely necessary". the cross—channel rail operator warned that industrial action by french customs workers, who are demanding more pay and resources ahead of brexit, will continue to cause delays. eurostar is offering a free ticket exchange or a refund. a woman has been sent to prison for at least 18 years after being convicted of drowning her daughter in a bath. winchester crown court was told that claire colebourn, a former biology teacher from fordingbridge, in hampshire, killed three—year—old bethan after her marriage broke down in 2017. large crowds are expected on the streets of cardiff tonight to celebrate the welsh rugby team's grand slam victory at the weekend. our sports correspondent katie gornall reports. it's been a weekend to remember for the grand slam champions. for the past three days, they and their country have been in party mode. now at the welsh assembly in cardiff, it was time for a more formal celebration. to see the turnout today, you can see how much it means to everyone and it is nice to put a few smiles on faces. it is nice to be here as well. with a little dink. hadleigh parkes! 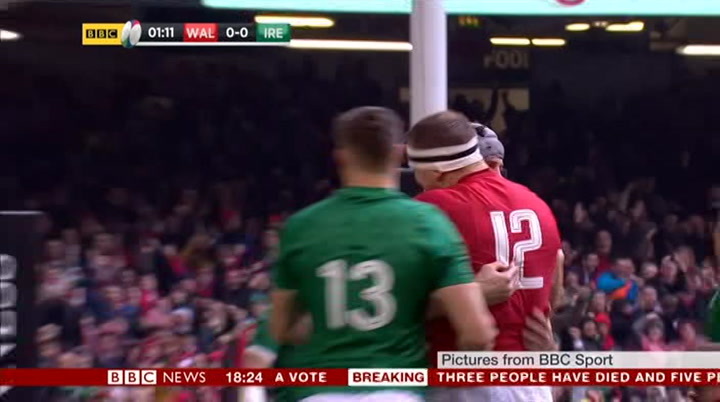 wales' match with ireland was meant to be a nailbiter. instead, they blew them away 25—7, suffocating them in defence and punishing them in attack. never did they look like anything but winners. they haven't had it all their own way in the six nations, but even when they were behind against england and france, they found a way back. when the pressure is on, wales have proved themselves to be masters of the big moment. their demolition of ireland gave warren gatland a record third grand slam title in his final six nations game in charge. his side are now on a 14—match winning streak and climbed above ireland to second in the world rankings. they will travel to the world cup in japan later this year as a major title contenders. as major title contenders. i think mentally, they are strong, they have great leadership on and off the field. they have beaten everybody apart from new zealand, so i'm sure they will be cautiously optimistic. excellent chance now. i mean, we are second in the world now. where do you go from here? only up. it is notjust good from wales, it is good for the whole country it is notjust good for wales, it is good for the whole country and other parts as well. it is putting us on the map. there is a togetherness about wales, a sense that when you play them, you play a nation, not a team. this is a small country that believes it can conquer the world. and there is a sizeable and very buoyant crowd here at the welsh assembly. the players, the staff, just there with the trophy on display as well and you have to say, really, when all of those dies down, attention will inevitably turn to the world cup and wales are now in the world cup and wales are now in the best shape of all of the northern hemisphere teams. ireland we re northern hemisphere teams. ireland were made to look ordinary by them, england have been accused of being mentally fragile by their own coach whereas wales, in the words of warren gatland, have forgotten how to lose and how they would love that to lose and how they would love that to stretch all the way to a world cup final to stretch all the way to a world cupfinal in to stretch all the way to a world cup final in november. thank you. time for a look at the weather. here's nick miller. and a lot of water around. around. not as much blue, rain, showing up, but still damp in some spots and heavier bursts in northern scotla nd spots and heavier bursts in northern scotland on a stronger win compared to today. elsewhere, winds are fairly light, some sunny spells here and there and notice temperatures are edging up a little bit. that is asa are edging up a little bit. that is as a slice of milder or even warmer air is coming our way for mid week. the colours represent the warmth, not necessarily the sunshine. 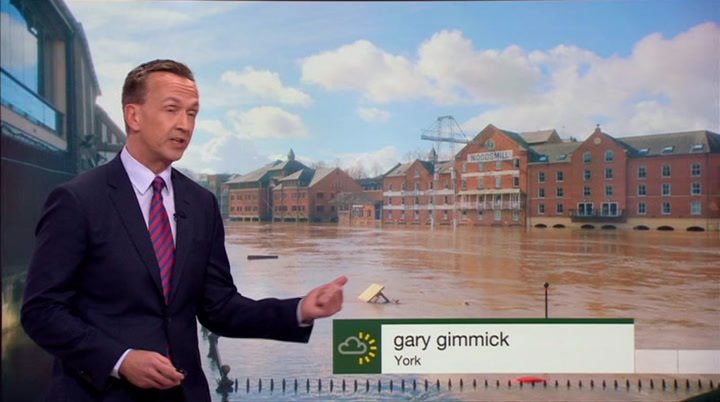 let me lower your expectations, there isn't going to be a huge amount of blue sky but it will be mainly dry and a few sunny spells coming through. all the while, northern scotland close toa the while, northern scotland close to a weather front so they will see rain at times, breezy compared to elsewhere, but notice the temperatures are heading up, into the high teens in the warm spots. mainly dry until the end of the of the week, the winds pick up again in scotland, a bit cooler into the weekend but for the moment, a hint of spring a reminder of our top story... coming back. thank you. 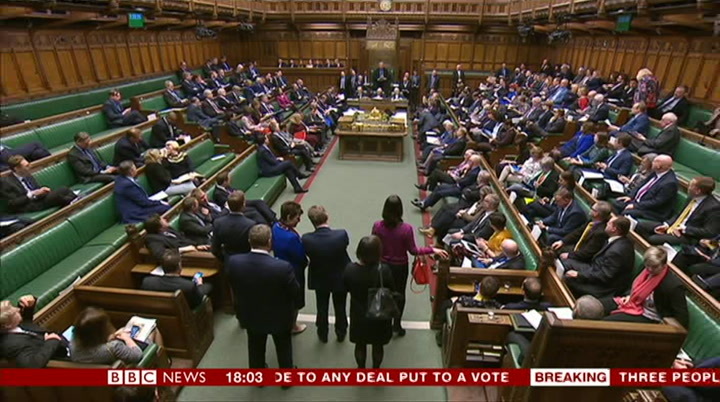 downing street is taken by surprise as the prime minister is told she cannot bring her brexit deal back to the commons for a third vote unless it is substantially different. 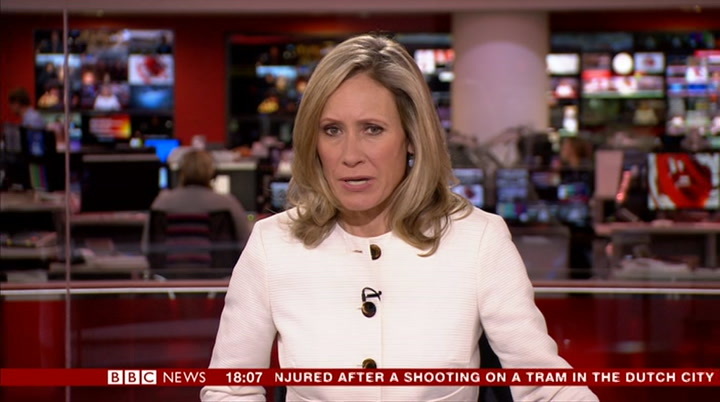 that's all from the bbc news at six, so it's goodbye from me and, on bbc one, we nowjoin the bbc‘s news teams where you are.